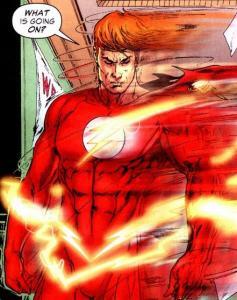 A look back at Speed Force in September. 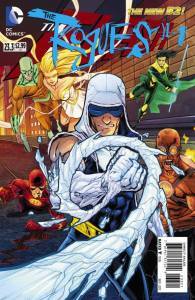 Christos Gage talks about his Flash #26 one-shot issue. This entry was posted in Round-Ups on September 30, 2013 by Kelson. It’s the last week of Villains Month, and all three Flash villain spotlights are out. That leaves this week’s digital re-release, Flash #155 (Wally West series). The mysterious Dark Flash takes a more severe approach to villains than Barry or Wally ever did, and after Captain Boomerang is seriously injured in a fight, the Rogues create the Replicant, one man with the powers of all the Rogues’ weapons. Replicant’s origin story was actually in The Flash Secret Files #2, which DC hasn’t sent to ComiXology. They haven’t been terribly concerned with specials like this, or annuals, from their backlist. Fortunately, most of the annuals from this series were stand-alone stories, and only the Replicant origin and introduction of Hunter Zolomon in the second and third Secret Files books really leave holes in the stories that are online. Well, and Iron Heights, which is a critical piece of the build-up to Crossfire. This entry was posted in Out This Week and tagged replicant on September 25, 2013 by Kelson. Grant Gustin, cast as Barry Allen on “Arrow” and positioned for a possible Flash spin-off, spoke with E Online last Friday about running, the iconic costume (yes, we will see it, but not in the first two episodes which take place before he becomes the Flash), and researching the character by reading Geoff Johns’ comics. Thanks to The Dude for the link. This entry was posted in Flash News, Media and tagged Arrow, Flash TV Show 2014, Grant Gustin, TV on September 23, 2013 by Kelson. 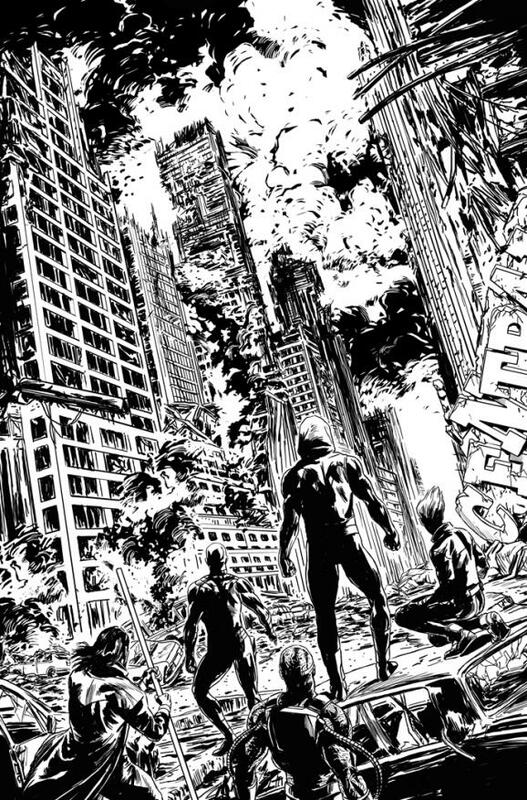 DC Comics has released four pages of preview art from the first issue of Forever Evil: Rogues Rebellion. The miniseries will run alongside the main Forever Evil event. Brian Buccellato writes. Patrick Zircher and Scott Hepburn draw the first two issues, with Scott Hepburn taking over solo art duties in issue three. This entry was posted in Flash News and tagged Patrick Zircher, Preview, Rogues Rebellion, Scott Hepburn on September 18, 2013 by Kelson.